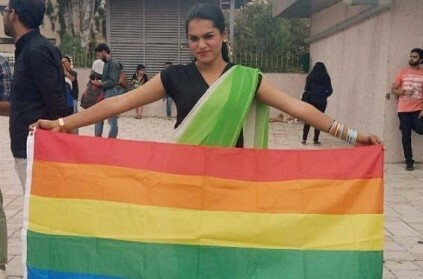 This Lok Sabha Elections 2019 has brought good luck to 22-year-old trans woman Riyanna from Bengaluru, as she will be voting for the first time this year. It took her three years and 11 rejections before she could get her voter ID. She had applied for the voter ID when she turned 18 but was rejected 11 times until she finally got it recently. According to The News Minute, she said "Getting the voter ID itself was so difficult as my application was rejected because of confusion. Despite being a citizen in the country, it was so difficult for me to get the ID because I am a member of the transgender community. But that is all the more reason that it is important for more people from the community to vote." As the elections were getting closer, she emphasised that it is crucial for everyone to cast their vote. "Something as simple as applying for a voter card becomes so difficult and complicated when you are from the transgender community. After having my application rejected so many times, I finally approached the Shantinagar MLA and told him about the difficulty I was facing in obtaining the voter ID. It was with his help that I was ultimately able to get my voter card," she further added. Further stressing on how the basic needs such as shelter, education and medical insurance of the community should be addressed by the government for their betterment she said that "the government should take the responsibility of ensuring that all transgender people are covered with medical insurance." Riyanna will be voting from the Bengaluru Central on polling day. 377ஐ நீக்கியதால்.. திருமணம் செய்யவுள்ள, திருநங்கை கமிஷ்னர்! This page contains news relating to various facts and events. The views are generally about current affiars and general topics in diversified areas such as political, international, national, and regional issues, sports, health, travel, lifestyle, technology and business. People having similar interets on the above topics will find this page useful. Bengaluru trans woman, rejected 11 times before getting voter ID, will | India News.